GSMArena has apparently received a tip from an “anonymous” tipster who works at Google, yet is…anonymous. This source claims that the real Nexus, which they are referring to as the “Nexus Prime” has completely different specs than the ones released this morning for the Galaxy Nexus. Their source suggests that this phone will actually run Samsung’s new 1.5GHz Exynos processor – a chip that has yet to even go into sampling and was just announced last week. It will also pack a PowerVR SGX543MP2 GPU, 8MP camera, and 2050mAh battery. The screen though, is indeed the 4.65″ Super AMOLED HD that was reported earlier. So what do we make of this? 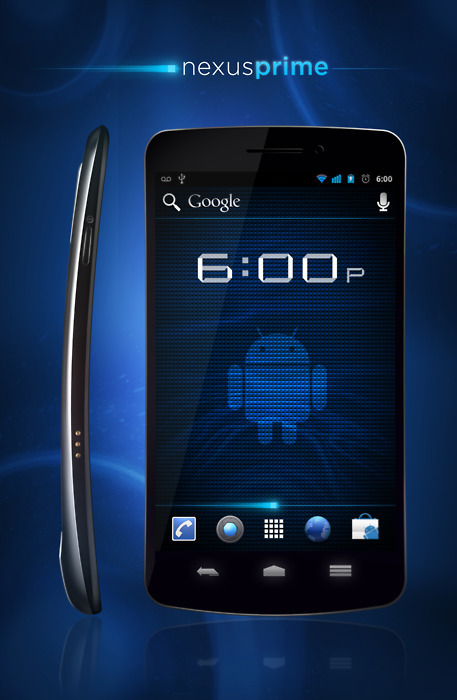 Well, if this device truly exists, it is NOT the Galaxy Nexus. The G-Nex is as was reported earlier. I know people with the phone that are not “anonymous” and believe what they have told me. So what is this unicorn that the anonymous Google tipster speaks of? I would bet that if it exists, could be the Nexus Prime or the non-Verizon Nexus that is expected to come out towards the end of the year or beginning of 2012. It sounds like a wonderful device, but there are too many things going on here that would suggest it won’t be announced next week at CTIA. The fact that the processor will start sampling this quarter means there is almost a 0% chance that it will make it into a retail device in the next few weeks. Remember, the Galaxy Nexus has been rumored time and time again to be available at the end of October/early November. Let’s also not forget that Texas Instruments has been flaunting their relationship with Google for Ice Cream Sandwich for months. My thoughts are that the Galaxy Nexus is the SCH-I515 and is headed to Verizon at the end of this month. The unicorn Nexus Prime could be the GT-I9250 and will be the non-Verizon Nexus released early next year. You guys tell me what you think. What a day, eh? Anyone else wishing it was Tuesday, October 11? Update: Is there a chance that the phone referenced above is a version similar to the Galaxy SII LTE HD and ready for a stateside appearance? I guess we have all been surprised before. I just know that the device that is currently floating around to some pretty major players, is not that phone and is the one mentioned time and time again this morning that is known as the Galaxy Nexus. Would it be amazing if Samsung and Google surprised us with this SGS2 LTE HD variant in a last second swap? You betcha. We’ll know on Tuesday.